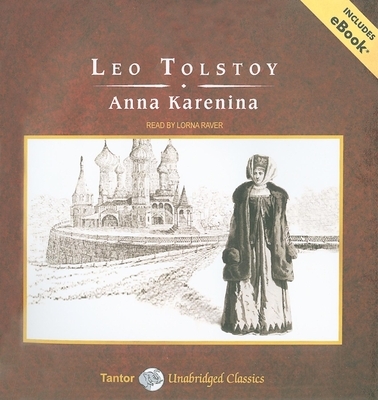 Vladimir Nabokov called Leo Tolstoy's Anna Karenina "one of the greatest love stories in world literature." Set in imperial Russia, Anna Karenina is a rich and complex meditation on passionate love and disastrous infidelity. Married to a powerful government minister, Anna Karenina is a beautiful woman who falls deeply in love with a wealthy army officer, the elegant Count Vronsky. Desperate to find truth and meaning in her life, she rashly defies the conventions of Russian society and leaves her husband and son to live with her lover. Condemned and ostracized by her peers and prone to fits of jealousy that alienate Vronsky, Anna finds herself unable to escape an increasingly hopeless situation. Set against this tragic affair is the story of Konstantin Levin, a melancholy landowner whom Tolstoy based largely on himself. While Anna looks for happiness through love, Levin embarks on his own search for spiritual fulfillment through marriage, family, and hard work. Surrounding these two central plot threads are dozens of characters whom Tolstoy seamlessly weaves together, creating a breathtaking tapestry of nineteenth-century Russian society. From its famous opening sentence-"Happy families are all alike; every unhappy family is unhappy in its own way"-to its stunningly tragic conclusion, this enduring tale of marriage and adultery plumbs the very depths of the human soul. Leo Tolstoy (1828-1910) was a nineteenth-century Russian author whose best-known works include "War and Peace" and "Anna Karenina." Lorna Raver, an accomplished stage actress, has also guest-starred in many top television series as well as appearing on the big screen. She has been named a Best Voice of the Year by "AudioFile" magazine and has been nominated for multiple Audie Awards. Lorna has also received numerous "AudioFile" Earphones Awards for her narrations.